The government has missed the chance to highlight areas where Bulgaria is being unfairly treated by the EU. Bulgaria looks set to focus on three main issues during its upcoming EU presidency: EU-Western Balkans economic integration, post-Brexit cohesion policy, and migration. However, by taking a technocratic approach to formulating its priorities, the government has avoided many of the issues that citizens care about. Moreover, the Bulgarian government has missed an opportunity to highlight areas where it is being unfairly treated by the EU, especially with regard to Schengen accession, macroeconomic imbalances, and monitoring of its judicial system. On 1 January 2018 Bulgaria is due to take over from Estonia the rotating Presidency of the Council of the EU. At the time of writing, the Bulgarian authorities have not stated officially the priorities of the presidency. This will only be possible after the end of the current (Estonian) Presidency. Nevertheless, there are a number of hints as to the policy areas that Bulgaria likely favours in the EU policy discussions during the first semester of 2018. In announcing its priorities for the presidency, the Bulgarian government has released a fairly broad and colourless list of bureaucratic clichés which closely follows the Commission jargon, and just by reading such public documents, it would be difficult to figure out whether any genuine national priorities for the presidency exist. However, some public statements by Bulgarian politicians and several recent diplomatic demarches have helped to identify some revealed national priorities. First is the deepening of economic and integrative ties between the EU and the Western Balkans. On the one hand, given its geographic location, Bulgaria has a vested interest in strengthening economic cooperation within this region. On the other hand, some key EU member states (led by Germany) have signalled that they would also welcome this process, including improving the access of Western Balkans countries to the EU market. An indication of these shared priorities is the fact that the EU’s 2018 Western Balkans Summit will take place in Bulgaria during its Presidency (it is planned to be held in Sofia on 18 May 2018). Another issue which feature quite prominently in the official pronouncements of local politicians are those related to the future of cohesion policy and the envisaged reforms in the Multiannual Financial Framework. Bulgaria is among the countries that fear a possible weakening of EU cohesion instruments that would lead to waning of EU transfers. These fears have been amplified as a result of the expected budgetary repercussions of Brexit, and the country will probably try to mobilise other potentially affected new EU members to seek an increased focus on these policy discussions. Another such issue is migration and the strengthening of controls on the EU’s borders as a factor of internal security. There are lingering fears that the migration flows along the Balkan route through Turkey and Bulgaria may resume which would put an extra strain on the very limited capacity of the country to host migrants. Hence EU debates on how best to address the migration challenge, including through the strengthening of external borders, would be welcome by local politicians. In principle, the process of formulating the national priorities during the upcoming Presidency was opening a unique opportunity for Bulgarian society to reflect on what the country wants and expects from being part of the EU. So far Bulgaria has not formulated anything close to a national vision or strategy regarding its own role in the Union and this issue has been visibly absent in the political and policy debates in the country. During the past eleven years of EU membership Bulgaria voluntarily chose for itself the role of a passive observer and uninterested recipient of important EU decisions that affect the country, its economy and society. Regrettably, such a reflection based on a wide public debate did not happen during the preparations for the presidency, and this is definitely a missed opportunity for the people of Bulgaria. 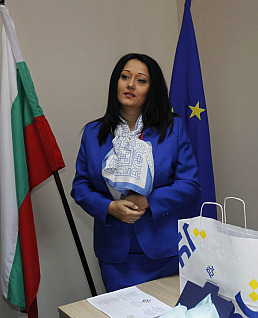 Instead, the task of formulating the priorities for Bulgaria’s presidency was undertaken by a tiny group of bureaucrats working behind closed doors and only communicating with their EU peers. This technocratic – and undemocratic – approach can at the same time be viewed as a demonstration of what has emerged as a widespread flaw in the functioning of the EU and its institutions, namely, a disconnect between the leading European elites and the European Commission bureaucracy, on the one hand, and the wider public, on the other hand. The perception of a widening gap between the agenda of the elites and that of the wide European public alienates the two sides and damages the credibility of EU institutions. The monitoring under the Cooperation and Verification Mechanism. The Schengen issue is probably the one where the perceived unfair treatment of the country has been felt most visibly. Bulgaria and Romania are legally obliged to join the Schengen area as part of their EU accession deal. It is now already more than two years past the moment when Bulgaria formally met all technical requirements for being admitted to Schengen, and this has been openly acknowledged by the European Commission. Nevertheless, there has been persistent opposition to Bulgaria’s accession to Schengen by some old EU member states based on arguments that are not part of the accession criteria. It is this discrepancy between jointly agreed decision-making criteria and actual decision-making (EU “Realpolitik”) which creates the public perception of biased and prejudiced treatment of the country on the part of the EU. The annual MIP for prevention and correction of macroeconomic imbalances provides another example. The European Commission’s annual Alert Mechanism Reports have systematically placed Bulgaria in the group of member states “experiencing excessive macroeconomic imbalances” and this conclusion is repeated in all reports prepared and published so far, including the recently released 2018 Alert Mechanism Report. What is striking in these assessments is that only judging from the extensive list of “hard” indicators used in the macroeconomic imbalance procedure (those based on actual statistics which shape the MIP Scoreboard), Bulgaria has consistently been among the best performing EU member states. This reflects the fact that the country has achieved lasting and sustained macroeconomic stability and does not experience excessive macroeconomic imbalances. Nevertheless, the objective criteria seem to be insufficient for acknowledging this fact: the European Commission’s “soft” assessment is different and some of the arguments used to justify this are almost absurd. While the informed Bulgarian public has recently reacted to these European Commission reports with sarcastic remarks (including on the trustworthiness of the procedure itself), such assessments seem to cause reputational damage to the country, especially as regards its standing in the eyes of potential investors when they consider and compare different locations for their future investments. A third case is the continuing “monitoring” of Bulgaria’s judicial system. Staring from the moment of Bulgaria’s EU accession, the EC has applied annual monitoring under the Cooperation and Verification Mechanism to assess progress in the areas of judicial reform and the fight against corruption and organised crime. The monitoring was part of Bulgaria’s EU accession deal and it reflected the fact that at the time of EU accession some old member states were not convinced that the country met the acquis communautaire in these areas. While this may have been a valid reservation, it is difficult to see any visible effects of the EU’s monitoring during the past 11 years on the functioning of the Bulgarian judicial system. In turn, the monitoring reports repeat the same or similar critical remarks from year to year. However, the inefficiency of the process does not add credibility to the monitoring procedure and does not seem to justify its continuation. It would probably make sense for Bulgaria to raise these issues with other EU member states. Being in charge of the agenda of EU policy debates in the next six months would have provided the country with unique opportunities to propose a debate on some of these issues. However, it is difficult to find traces of such issues in the envisaged priorities of the Bulgarian Presidency (with the disclaimer that they are still tentative and unofficial). Understandably, country-specific issues cannot feature prominently in the agenda of EU policy discussions; however, a skilful multilateral diplomacy could probably draw some attention to them, even if at the margins of the agenda. A comprehensive assessment of the Bulgarian EU Presidency will be published as a wiiw Policy Note in January 2018.